Mandolinist Rich DelGrosso, Guitarist Mary Flower and multi-instrumentalist Martin Grosswendt have earned steady streams of praise for their outstanding string skills. 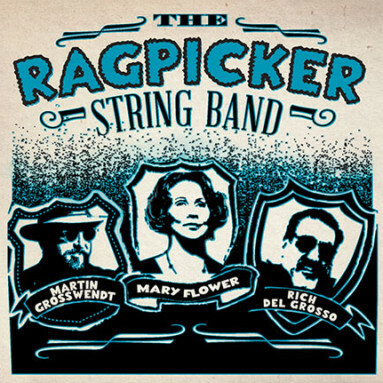 They strum and pick up a storm on their debut album together as the Ragpicker String Band — but it’s their tight trio harmonies that especially dazzle. The acoustic dream team summons the spirits of everyone from the Mississippi Sheiks to Kweskin and Crumb with their vibrant spin on prewar folk-blues.